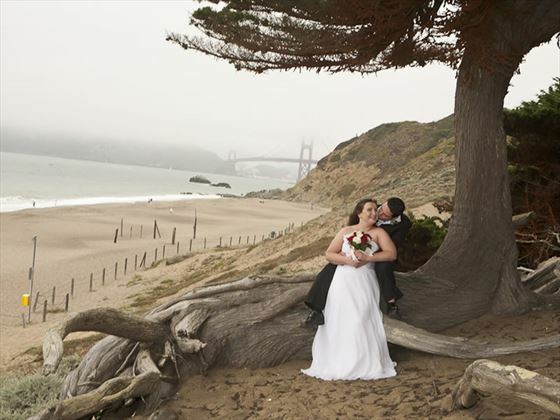 A wedding here can be as personal as you like, from the ceremony to the choice of stunning iconic locations. 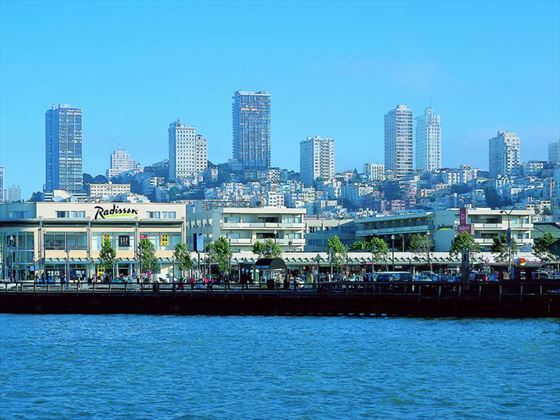 Famous for its cable cars and the Golden Gate Bridge, you'll find a cosmopolitan metropolis that is laid back and incredibly friendly. 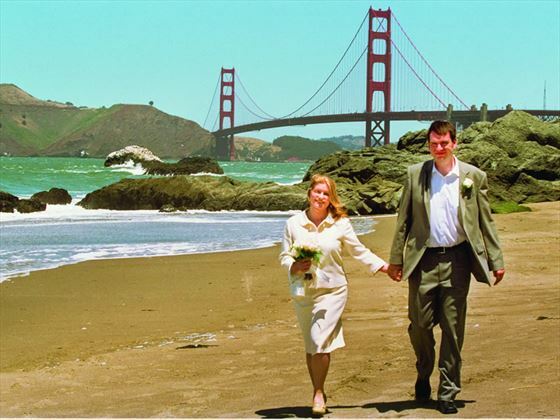 Exchange your vows at San Francisco's fantastic sights. With wonderful places to explore which include a stylish restaurant scene, great shopping and plenty of culturel events, making the city one of California's most popular destinations. Your wedding can be just the way you like it, from your choice of the kind of ceremony to your choice of any of the stunning iconic locations and venues. There is no minimum residency period in San Francisco. 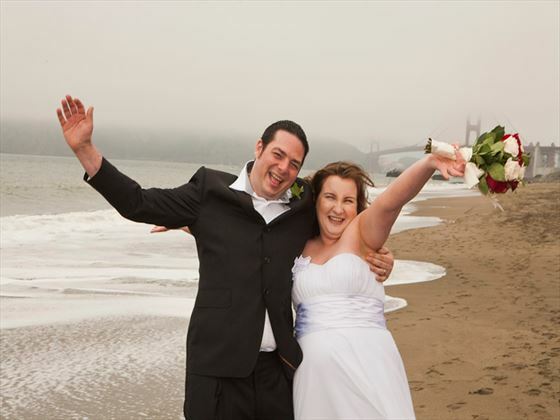 Renewal of vows and commitment ceremonies are also available. 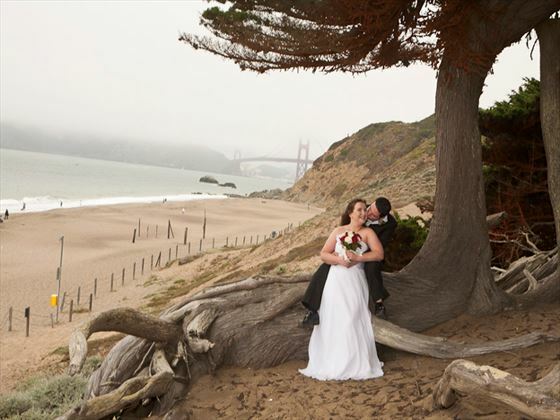 Baker Beach: A quiet beach that ends just underneath the Golden Gate Bridge. It has a view looking upward at the bridge and is normally a very quiet spot and excellent for those backdrop photographs.